Up until only a few months ago, the only Eric Clapton songs I was familiar with were the overplayed popular hits of his solo career during the late 90s: Wonderful Tonight and Tears In Heaven. While both are amazing songs, I never gave the artist usually associated with my parents generation much further interest. However, after reading Eric Claptons autobiography this weekend, I was inspired to listen to some of his older material. From my reading, Claptons time playing under the band name Derek & The Dominos seemed to be a highlight of his career, a time when he was able to have the most fun and musical creativity just carelessly jamming with fellow musicians. And of course, I already loved the song Layla. Layla is one of my favorite songs of all time and as a result I didnt expect the rest of the album to live up to quite that level, but I was hoping to hear at least a few more decently good songs. Much to my excitement, the album exceeded my expectations. Overall, the album is excellent. There are some very good tracks here. Some are slower like Bell Bottom Blues and Nobody Knows, but these are balanced by much faster ones such as Why Does Love Got To Be So Sad. The guitaring, needless to say, is amazing. On the Keep On Growing solo, the last two minutes are full of such quality sound & depth that I wish the solo wouldnt end. It is surely a treat to listen to. Similarly, Key To The Highway is basically one non stop solo that stretches on for nearly ten minutes, yet, I hardly noticed the lengthiness at all because it was so captivating. Derek and the Dominos was formed in 1970 by Eric Clapton along with Bobby Whitlock, Carl Radle, and Jim Gordon, who had all played in the band for Delaney & Bonnie. Duane Allman, of The Allman Brothers Band, joined as well later on. It is a shame that the band dissolved due to band member differences soon after this album was released, because I would have loved to hear more of what they could have produced. 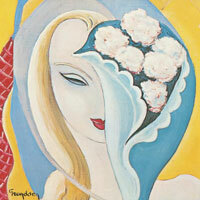 Layla and Other Assorted Love Songs is an excellent 70s album, highly recommended for any true fan of rock.